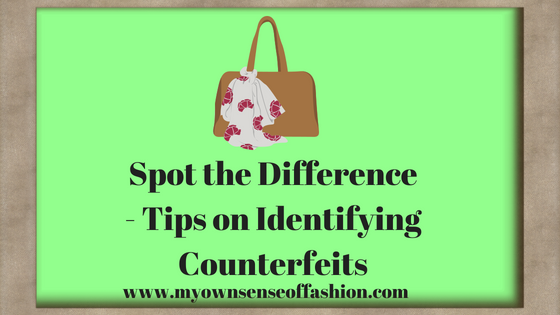 Counterfeiting is a term we all pretty much aware of. Unfortunately, it is a major problem for the fashion industry, especially with advanced techniques. The cost has recently risen to the billion-dollar range. For instance, a designer’s upcoming line can be available on the streets in a knockoff form before the real designs even leave the showroom. However, there are a few tips to make sure you buy the real thing. Check them out below. 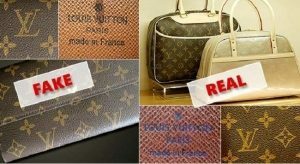 One of the easiest ways to identify a counterfeit item (i.e. handbag) is to look at the logo. Designer handbags such as Louis Vuitton, Gucci, and Chanel have a specific way in which their logo letterings intersect. Be sure to look for that. If it doesn’t look right to you check it out before buying. A true designer item will consist of quality fabrics, zippers, buttons and more. Also, check out the quality of the stitching (i.e. handles) If you are purchasing from a second-hand retailer or outlet look for any possible defects or etc. Finding a real serial number on the inside of the handbag. is an excellent way to determine you have found the real thing. 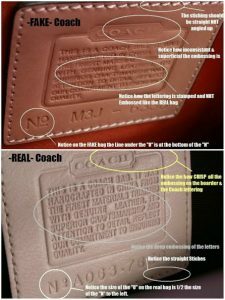 For example, you can usually find the serial number stamped on the tag located inside zipper section of a designer handbag. Use these tips to help you before you purchase that designer item on your wish list. 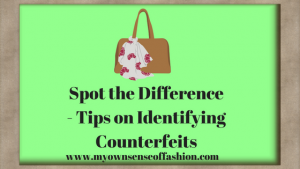 Do you know how to spot a counterfeit fashion item? What topic would like to discuss next? Let us know in the comments below.